Your eCommerce, such as your shop, is a machine to sell and how each machine has to work well and produce high performance. There can always be improvements that can produce small increments, but that added to other results, increase the turnover of your business. Always remember that it always works to make profits and not to generate business volumes, but it is certain that a good turnover, if economic settings are correct, it helps to have a good profit. Optimize the conversion rate serves to buy a larger number of people among the many who enter in your online store. To achieve this you need to analyze a lot of your eCommerce, ask questions, check the steps and introduce changes. If the conversion rate is the number of visitors to the store, also have a huge catalog may cause a lower conversion rate. 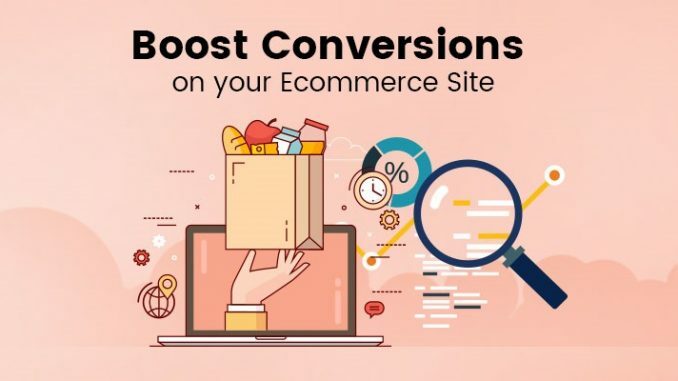 In fact, I can hook a very high number of visitors that are dispersed on the products and since selling online is not always impulse buying, you might have a dispersion of customers that will lower your conversion rate. It might not be a problem if I acquisition costs of many low traffic and I can maintain a good profit margin on turnover. Some causes of a low conversion rate. Difficult navigation and poor usability. Product information is incomplete or incorrect. Higher prices than the competition. Catalogs constructed with the logic of the warehouse and the production and that do not use the head of the customer to present the products. Some problems are difficult to resolve because from the beginning the sales project was ill-conceived, other problems are problems of development and growth in which you never stop to confront. From this the need for the sales project is designed from the beginning with the head turned to the customer. 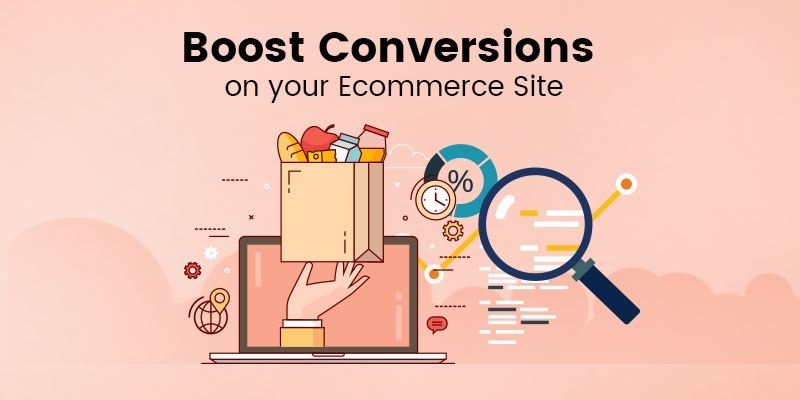 There are many points of improvement in an eCommerce and there are many activities that can be put in place to improve the conversion rate. In this post, we look at just a few possibilities. A good product page significantly improves the conversion rate. Describe the product fully and convincingly. A good description answers the questions of visitors, describes the product clearly. The description is complete when there are transport costs, guarantees to the customer, the expected time for delivery. Watch out for social sharing buttons. Put buttons with numbers only if you have significant numbers of sharing. And in any case always evaluates whether having or not having the Sharing buttons. Add security and customer reviews are important, the guarantee and proof of product originality. Pay attention to the buttons, put priorities on actions, evaluate and test colors and texts. Pay is always the penalty point in any sales process, in-store and online. Optimize the conversion rate also means working to streamline the payment process, collect the data necessary for dispatch, close the sale to the satisfaction of the customer. It is not easy and there are many possible solutions. The advice is not to conduct the case, copying what you see in other eCommerce. It is worth to put yourself in the customer’s head and imagine the process, and then test it. Read and interpret Google Analytics to understand how it behaves and how customers in navigating from point of entry in the online shop moves to the purchase, it is very useful to understand where to improve the way. It is important, in a few pages, put questions to the navigator, always to understand what attracts it and what to reject it. Hotjar perhaps in the paid version, which has more features, you can use it to create heat maps, track mouse movements, and propose surveys to visitors. SmartLook is a very similar product to Hotjar, now offered for free in beta to acquire users. Well worth a try. Crazy Egg is always a good tool to get information about the user’s navigation. Or you can schedule an eye tracking session with appropriate companies and tools that make browsing casual users on your site, by analyzing eye movement, mouse movements, various actions, to produce a very thorough analysis. All solutions are tested; the changes introduced one at a time, checking the effect, and then proceeding to the next. The average rates are the composition of the percentages that result from traffic sources, which have different weights in different online shops. It is interesting to see how the conversion rate of the Google Ads is higher in top stores, even according to the most possible investment. But it is also interesting to see how the updates of the conversion rate is the best conversion rate. Even in this case, the result is a function of the size and investment. Careful not to generalize the conversion rates. Consumers behave differently depending on the type of product. Attention to the product price. The more the product is expensive, more falls the conversion rate. Always think in terms of margin and take control of the traffic acquisition costs. Since the conversion rate affects the turnover, though improving your conversion rate is accompanied by an increase in costs, risks eroding a margin that, in online sales, is already low. If the improvement in the conversion rate, on the other hand allows a better distribution of costs and is accompanied by other general interventions that increase sales, you’re also taking action to improve your margin. Always compare your activity with other similar, with the market position, the business model. Think of YOUR conversion rate.